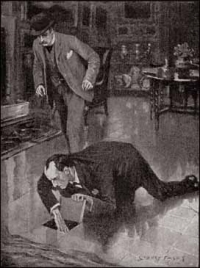 What has the great detective uncovered? The scandal de jour rocking the world of experimental psychology is a serious one: not just that one prominent researcher faked his data, but that statistical sloppiness and bad protocols may be rampant across the board. Obviously the field needs to retrench and learn a valuable lesson here. But the question is: which lesson is the valuable one? Certainly the development of new protocols for transparent data collection and more rigorous statistical analysis are required. It’s reactionary to think that transparency and rigor aren’t appropriate and needed. But as we’re re-evaluating the way experiments get done, can we also evaluate what they’re good for? Most of the experiments thus far called into question belong to the “gee-whiz” approach to psychology – less interested in providing actual insight into the mind and human nature than they are in finding media-friendly correlations that run counter to common wisdom. Too many academic psychologists don’t study “people,” they study brains, automatic responses, and chemical reactions. The assumption that gets you in the door is that you can’t talk about a “person,” only his components. Once you take away any sense of people as unique individuals who cannot be reduced to components, then any experimental data … no matter how absurd … gets accepted without blinking. People are more racists in messy environments? Okay, sure. Watching advertisements can change someone’s whole identity? Why not. Brain scans show that nobody’s actually making any choices? What the hell. “The brain does it!” has become an all purpose explanation, much like “God did it” in the Middle Ages or “it’s a quantum effect” in the New Age movement. Having abandoned the notion of people as a whole for their pieces and parts, too many psychologists have lost the ability to put the brain … and research about it … in its proper context. They prefer answers that are technical, quantifiable, and wrong. That lesson, as much as any protocol changes, is crucial for psychology to learn from this scandal. Will it?